Since 2004 A. Perrone & Sons, Inc. has been a Certified Aquascape Contractor, the leading pond manufacture in the North East. Our staff updates education and techniques throughout the continued education programs sponsored by Aquascapes. Staying abreast of the latest trends is just one of the ways we maintain our remarkable reputation and continue to persevere. Old school behavior and workmanship is sometimes underrated and, in today's standards, hard to come across. Look no further, A. Perrone and Son, Inc has been Family Owned and Operated Since 1974. References; Quality Products / Performance; Compensation Liability Coverage. 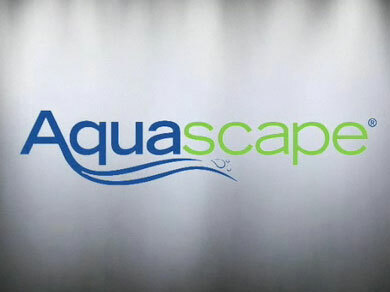 Watch this video to learn more about what a certified Aquascape contractor means to you! As a courtesy, we cordially invite our potential customers to take an assorted tour of our custom creations. As businessmen and gentlemen we make a strong effort to keep the lines of communication open to provide the best possible service. Let's put our heads together and start creating the vision that you've always dreamed of. Guaranteed to exceed your expectations! We respect your property, as standard procedure according to us "Under Construction" means: neat; organized and presentable, not just upon completion of the project but upon completion of each work days end. Life happens; often we are trapped amongst the Hustle and Bustle of a fast paced lifestyle but at the end of the day the whole family (young and old) can not dismiss the gravitational pull of the tranquility offered by the sound and site of a water feature... the benefits are endless! We are a proud sponsor of Spectrum for Living Foundation. 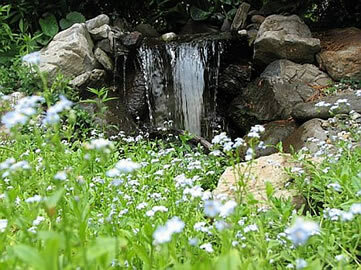 We take much pride in offering the latest and greatest in ponds, waterfalls, streams and pondless watersfalls in addition to all phases of landscape design and construction.